Do you like beans and greens? Before you say bah-humbug, whip up a pot. Humble beans and lowly greens create the loveliest dish that can be enjoyed on its own, with a spicy sausage, or as a hearty side dish to accompany nearly any meat main. 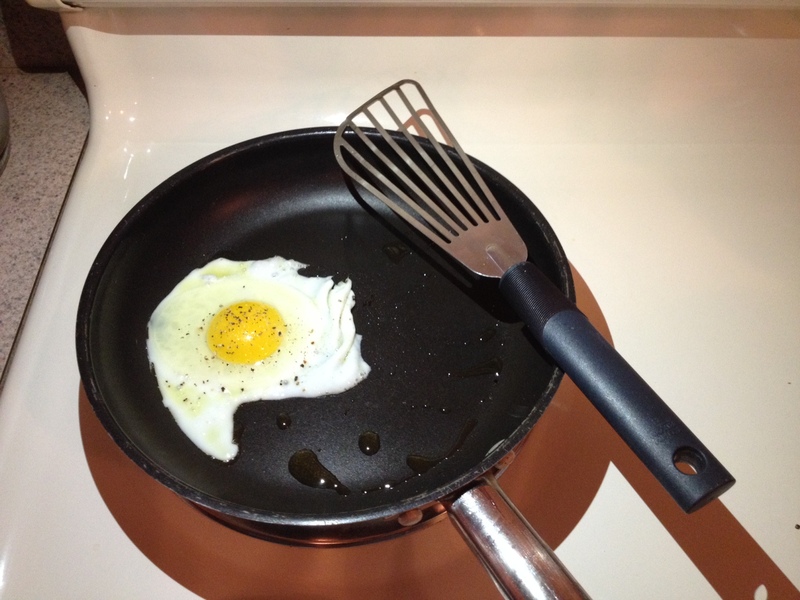 Last week I went a step further and put a fried egg on top. 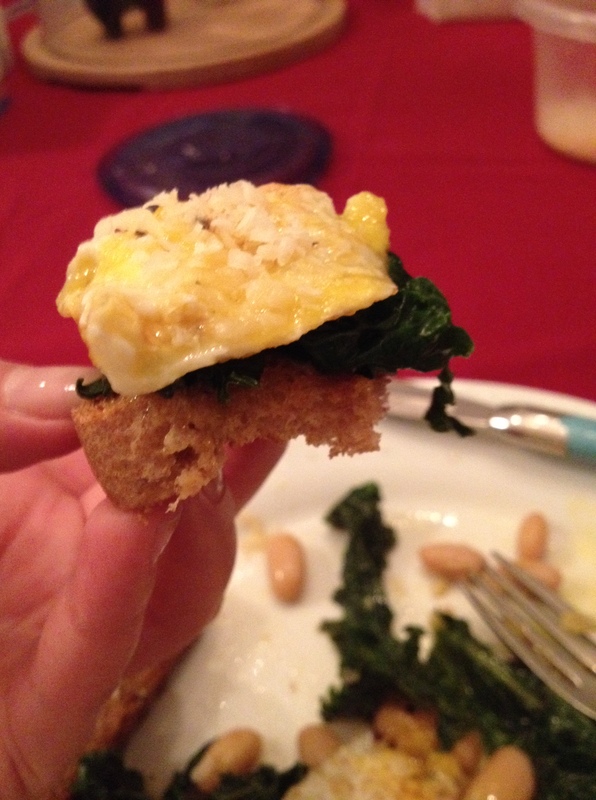 Some might say that adding a fried egg is a fleeting food fad, but I say it makes beans & greens swanky. The runny yolk adds a rich, creamy, golden layer of flavor. Heat olive oil in a Dutch oven. Add kale, turning often until wilted. Add salt, pepper, nutmeg, chili flakes, and garlic. Deglaze the pan by adding some chicken stock. Pour in white beans. Add more chicken stock as desired. Simmer until warmed through. Enjoy as is, with chicken sausage, or get fancy. While beans & greens simmer, fry some eggs to over easy or over medium—whatever you prefer as long as the yolk is still runny. Sprinkle with salt & pepper as they cook. 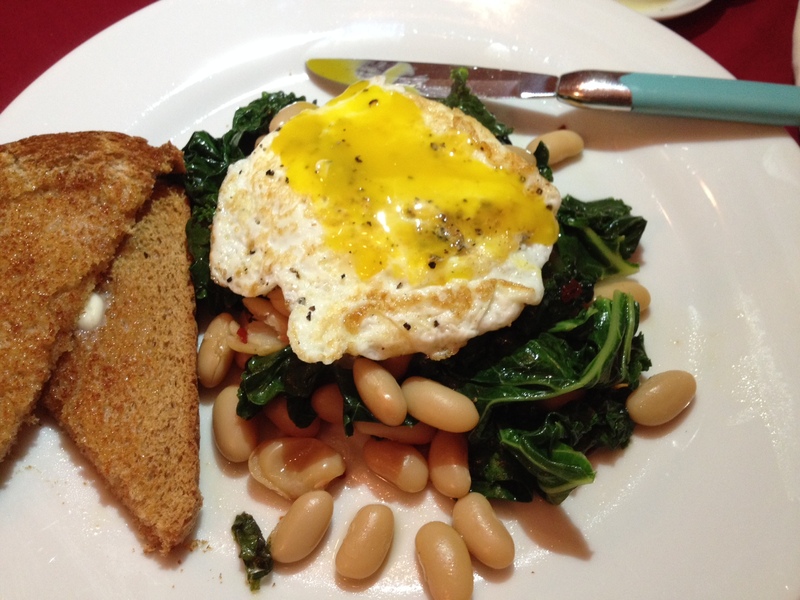 Serve on top of a pile of beans & greens with a side of toast. Or, if you happen to have thick, crusty bread, lying around, pile everything on top. Sprinkle with a generous amount of fresh grated Parmesan. 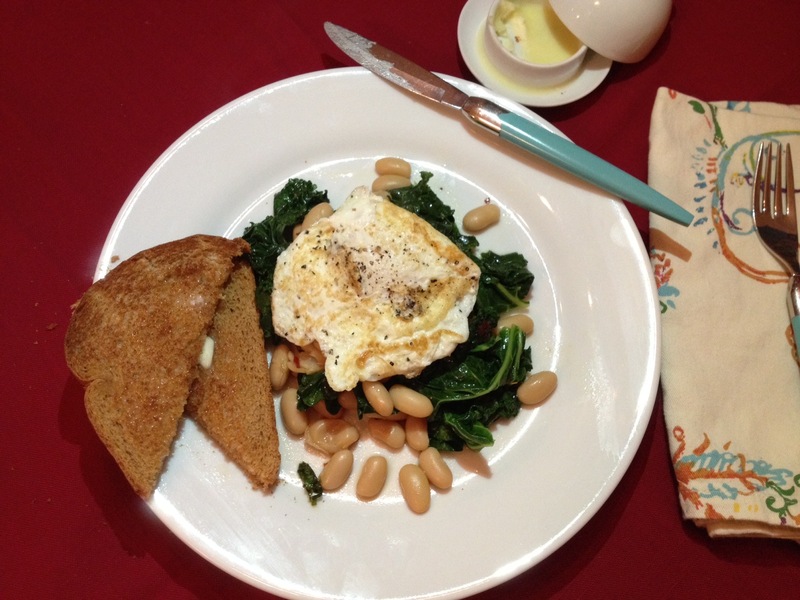 Categories: Recipes, Uncategorized | Tags: beans & greens, eggs, kale, white beans | Permalink.